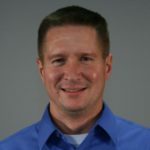 Arkansas-based OptiSurface Global Sales Manager Preston Marthey announces Record Harvest Enterprises, Inc., of Nevada, MO, has become an OptiSurface Partner. Record Harvest will provide surface drainage solutions for clients using their patented 3D landform design software. GPS landforming is the reshaping of a fields topography to predesigned 3D surfaces using high accuracy GPS to control the blade height of the earth moving machine. It is typically done to improve surface drainage and water infiltration uniformity. Steve Cubbage, president of Record Harvest Enterprises, Inc. says, “We’re excited to be able to offer our clients the benefits of using OptiSurface Designer landforming software. It fits with the firm’s commitment to help each producer and every acre reach full potential through practical and profitable precision agriculture practices. Davco Optisurface, who develop the leading 3D landform design software, OptiSurface Designer, have seen strong adoption recently as the concept catches on. “Our software has been used to design more than 500,000 acres worldwide,” says Cox. That number of acres makes them the number one global 3D landform design software. GPS Landforming is the latest precision agriculture tool to hit mainstream adoption by farmers looking to increase production and profits.